Disney’s Animal Kingdom will mark its 20th anniversary celebration on Earth Day, April 22, and Walt Disney World will live stream the festivities starting at 10:15am. 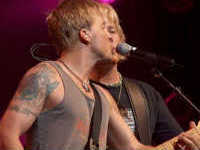 The park will mark its 20th anniversary with a ‘Party For the Planet’ that will stretch from April 22-May 5. During that time, Rafiki’s Planet Watch will take center stage for the celebration, which will offer backstage experiences that allow guests to learn about animal nutrition, visit the veterinary hospital, or hear how Disney promotes global wildlife conservation. Disney’s Animal Kingdom will mark its 20th anniversary on Earth Day, April 22, with more wild adventures than ever before during an expanded Party for the Planet celebration April 22-May 5. Over the two-week Party for the Planet celebration, guests can attend conservation talks by animal-care experts and participate in enhanced interactions with some of the more than 2,000 animals that make their home at the Association of Zoos and Aquariums-accredited park. Looking for something fun to do with the family this weekend? The Orlando Science Center is having a Party for the Planet to celebrate Earth Day on Saturday, April 23. From 10am to 3pm, visitors can enjoy live animal interactions and feedings in NatureWorks, get crafty with some upcycling activities, and see giant-screen film National Parks Adventure. Hard to believe, but Disney’s Animal Kingdom will be celebrating its 15th anniversary on April 22, 2013 – which also happens to be Earth Day. 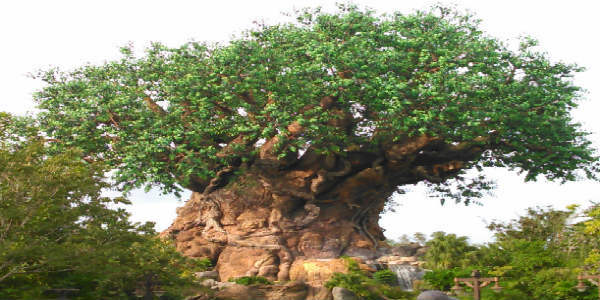 Special opening ceremony – Meet at the Tree of Life at 8:40 a.m., to hear from Josh D’Amaro, Vice President of Disney’s Animal Kingdom; Dr. Jackie Ogden, Vice President of Animals, Science and Environment. Earth Day “Party for the Planet” festivities – Special interactive activities that focus on animals and nature will take place throughout the park from 9am-5pm. Artists and other vendors will present their work in Africa and on Discovery Island, which will be available for purchase. The 15th anniversary celebration is included with regular park admission. I remember visiting the park right before it opened in 1998, and it’s grown into quite a fun park, especially if you love animals. 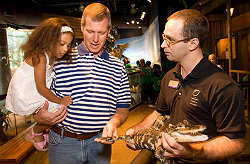 The Orlando Science Center is fun for kids of all ages, so you’ll definitely want to visit this Saturday, April 23, 2011, when they host their Earth Day event. Little ones will delight in eco-activities in the KidsTown preschool area while adults can enjoy behind-the-scenes Green Building tours including the facility’s new 144 panel solar array and cutting edge new HVAC system. On level four, guests can indulge in delicious s’mores that they create using solar ovens or check out water conservation experiments in Dr. Dare’s Lab. Special guest artist Dale Wayne will work with visitors of all ages to create artwork out of recycled plastic containers. In between the exhibits, take a break to watch Jane Goodall’s Wild Chimpanzees on the Dr. Phillips CineDome. And if the kids get sick of all the nature exhibits, the Curious George exhibit is also running at the OSC. Teaming with Walmart, the Orlando Science Center is offering a special discounted admission for the day – only $5 for everyone. Regular admission is $17 for adults and $12 for kids, so that’s quite a savings. Lowe’s stores nationwide are giving away free trees for Earth Day. Simply visit your local Lowe’s store on April 23, 2011, and pick up your free tree. Lowe’s says they plan to give away a million trees with this promotion. Very cool! While there, you and your kids can also participate in building a free birdhouse during the store’s free build-and-grow clinic. To find your nearest Lowe’s, visit their website.